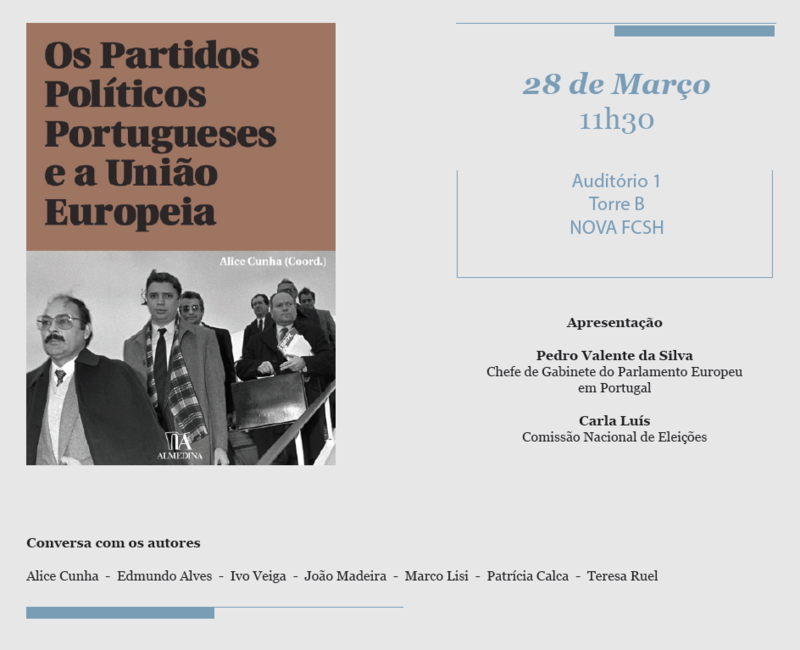 On 28 March, TEPSA and the Portuguese Institute of International Relations are organising a discussion on the topic of "Portuguese political parties and the European Union". The book "Os Partidos Políticos Portugueses e a União Europeia" coordinated by Alice Cunha will be presented at 11h30, at Auditorium 1, Tower B, NOVA FCSH at the New University of Lisbon. Presentation by Pedro Valente da Silva, Chief of Staff of the European Parliament's Office in Portugal, and Carla Luís, from the Portuguese Electoral Commission. The event closes with a debating session with the book contributors: Alice Cunha, Edmundo Alves, Ivo Veiga, João Madeira, Marco Lisi, Patrícia Calca, and Teresa Ruel. The event will present the results of a research project in Portugal about the evolution of national political parties. It will reach out to a non-expert audience, with the aim of a better understanding of the political parties’ positioning towards the European Union, with a particular focus on the elections in May 2019. The scholars will engage with students to discuss political participation/turnout, Euroscepticism and other key issues expected to shape the electoral outcome.